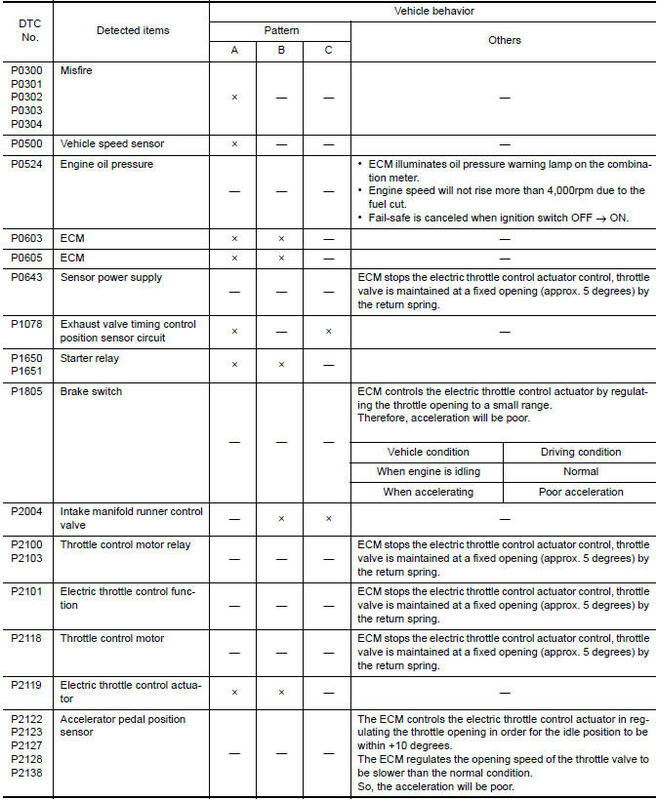 Position switch and clutch pedal position switch are not used in models with CVT. ASCD steering switch and brake pedal position switch are used in models with ASCD. 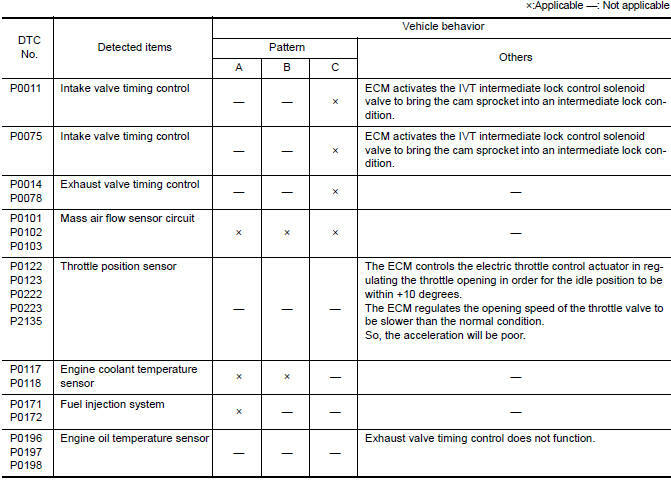 TCM and transmission range switch are not used in models with M/T. Fuel injection control EC-35, "MULTIPORT FUEL INJECTION SYSTEM : System Description"
Electric ignition control EC-38, "ELECTRIC IGNITION SYSTEM : System Description"
Intake valve timing control EC-39, "INTAKE VALVE TIMING CONTROL : System Description"
Exhaust valve timing control EC-41, "EXHAUST VALVE TIMING CONTROL : System Description"
Intake manifold runner control EC-43, "INTAKE MANIFOLD RUNNER CONTROL : System Description"
Intake manifold tuning control EC-43, "INTAKE MANIFOLD TUNING SYSTEM : System Description"
Engine protection control (Low engine oil pressure) EC-44, "ENGINE PROTECTION CONTROL AT LOW ENGINE OIL PRESSURE : System Description"
Fuel filler cap warning system EC-45, "FUEL FILLER CAP WARNING SYSTEM : System Description"
Air conditioning cut control EC-46, "AIR CONDITIONING CUT CONTROL : System Description"
Cooling fan control EC-47, "COOLING FAN CONTROL : System Description"
Starter motor drive control EC-48, "STARTER MOTOR DRIVE CONTROL : System Description"
Evaporative emission EC-49, "EVAPORATIVE EMISSION SYSTEM : System Description"
Automatic speed control EC-51, "AUTOMATIC SPEED CONTROL DEVICE (ASCD) : System Description"
CAN communication EC-52, "CAN COMMUNICATION : System Description"